Duke will not be heading to the Final Four after losing to Michigan State 68-67. The Blue Devils had a great run after winning the previous two tournament games by 2 and 1 point respectively. Zion Williamson put up 24 points and 14 rebounds while R.J. Barrett had 21 points, six assists and six rebounds. Michigan State guard Cassius Winston gave Duke all he could with a double-double (20 points and 10 assists) in the winning effort. However, this is considered a major upset despite the result being a two seed beating a one seed. Duke was pegged to win the tournament by most people because of the Zion effect alone. Add to that the lottery talents of Barrett, along with possible first-round draftee Tre Jones, there shouldn’t have been a team that could even slow these guys down let alone stop them. Don’t take this as a shock by any means. 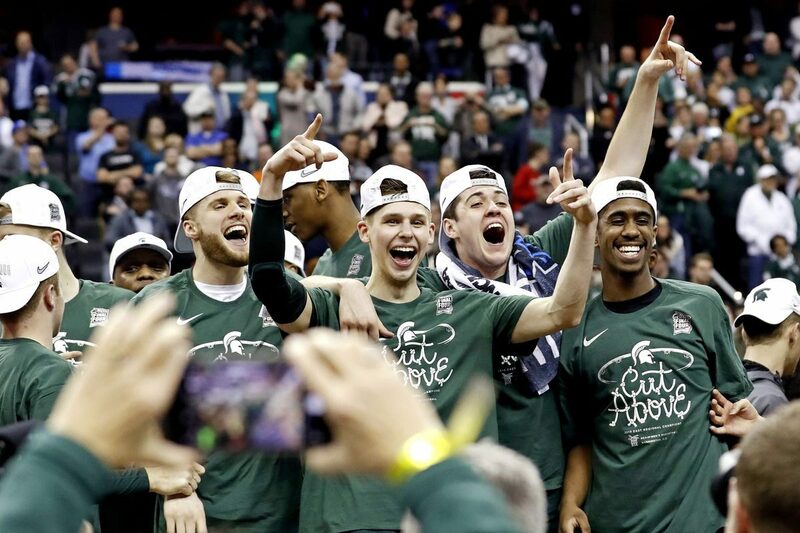 Michigan State was the better team and pulled out a victory when it mattered most. Kenny Goins hit the game-winning three after a brilliant play call by head coach Tom Izzo. Duke had a chance to tie the game with 5.2 seconds left on the clock. Barrett missed his first free-throw and that almost all but put it away. He tried to miss the second free throw on purpose but ended up banking it in off the high bounce. Michigan State would inbound the ball and secure the victory over Duke. After the game, Williamson mentioned how close he got with his teammates over this past year. “You look around the locker room you see your teammates, your brothers, and just think this group probably never gonna play together again,” says Williamson. Barrett had the same sentiment, embracing his teammate Tre Jones afterwards. With Williamson and Barrett expected to be Top 5 picks (Zion most likely going first overall), Reddish and Jones also most likely declaring for the draft, Duke will have an entirely different roster heading into next season. The time for head coach Mike Krzyzewski to start recruiting is now, but he doesn’t see it that way. “You’ve got to appreciate the moment,” Krzyzewski said. Michigan State will now move on, head to Minneapolis to face off against Jarrett Culver and three seed Texas Tech on Saturday. “I can’t tell you how proud I am of these guys for what they’ve gone through and how they’ve handled it,” head coach, Tom Izzo, told media after the game. Izzo mentioned how Magic Johnson (a Michigan State alumni) came in to talk to his players before the game and give them some tips. He also spoke about the opposing team. Duke hoped that they would be lifting that trophy rather than going home earlier than expected, but the season shouldn’t be overlooked because of quarterfinal loss by one point. When it’s all said and done Duke’s season is over, Williamson and company will have to wait until the draft combine to show teams what they’re made of.